Managing risk and selecting the best mitigation choice can be hard. There are many factors that will influence what choice is selected. Using data to manage risks and assess choices is always good. Having a process to use that data to evaluate choices is better. Having good data to assess risks and a process to determine choices is the point of this post. Known Known – circumstances or outcomes that are known to be possible, it is known that they will be realized with some probability. Known Unknown – circumstances or outcomes that are known to be possible, but it is unknown whether or not they will be realized. This is known as a Risk. Unknown Known – circumstances or outcome a modeler intentionally refuse to acknowledge that he/she knows. Unknown Unknown – circumstances or outcomes that were not conceived of by an observer at a given point in time. This is known as an uncertainty. In short, those things we know we don’t know are risks and those things we don’t know what we don’t know are uncertainties. In the magic quadrant, both are below the line. Still with me? The uncertainties, the unknown unknowns, are the hardest pieces to deal with. With decision theory, assigning values of probabilities helps determine which choice is best. As an example, consider the following image. Getting the data to assign the options and organizing into a concise arrangement is where the math comes in. – an issue is something that has occurred which impacts* the project. – a risk is something that may or may not occur that can impact the project. * impact can be positive or negative. I prefer to stay above the line and deal with knowns and those risks that are relatively small on my projects. It makes for simple math and for projects where my preferences matter, I find those are the best projects to manage. Glad I did not lose you and you got this far. How do you manage risks? What is the level of math required for risks? Simple? Complex? Hybrid? Comments invited. Posted by Edwin Ritter in Behavior, Project Management, Trends. Whatever we do, we deal with risks. Despite our best laid plans and intentions, there are always those uncertain and unwanted events that happen which are beyond our control. In a previous post, I talked about risks on projects. This post deals more with risk behavior. Risk management (or, risk tolerance) covers the spectrum from total avoidance at all costs to a laissez-faire, what-does-it-matter attitude. A low risk tolerance leads to ‘safe’ choices that eliminate, or substantially reduce, an unlikely event with a negative impact occurring. Likewise, a high risk tolerance leads to choices where outcomes are unpredictable and not guaranteed. In this scenario, the chances for unlikely risks occurring are higher. Financial investors know their level of risk tolerance and how it influences their investment choices. The occurrence of a highly improbable event that may not always be planned for. The impact can be positive or negative. after it happens, we create rational to make it more predictable (less random). We have more confidence in what we know is wrong than in what we know is right. We over-estimate what we know and conversely, underestimate our uncertainty. The first point bears repeating. We are more certain about something we know is wrong. Our intuition, skills and experience tells us what is wrong. Sometimes, we know something is wrong when we see it. That confidence drives our behavior with money, work and our personal life more than we may want to admit. I think that is because we are better at dealing with failure than success. We plan for success, of course, but realize we have to deal with a minimal level of failure. The other facet on uncertainty I have seen at work many times. Providing accurate estimates is a skill built on experience and dealing with knowns. When faced with new challenges, it is tempting to minimize complexity. How hard can this possibly be? More than likely, it is harder than you are able to imagine at this point in time. When a risk is deemed highly improbable, we tend to not spend much time and energy thinking about it. 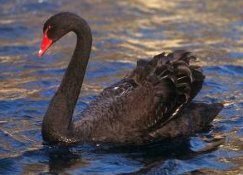 When a negative Black Swan strikes, the risk mitigation(s) you have defined will be quickly tested. If your tolerance is low, you will have well thought out and documented options. Your sponsors, stakeholders and clients will benefit from and appreciate your efforts. The path forward that is selected is based on their risk tolerance of those negative Black Swans. Positive Black Swans can only make things better, right? What’s your risk tolerance? What method(s) do you use to deal with uncertainty?